Uruguayan Vice-President Danilo Astori said Mercosur must decisively address the signing of a free trade agreement with the United States, but also admits that “opportunities must be built”. Addressing a business forum on “Uruguay’s insertion in the world” the top official and former economy minister admitted that Mercosur has many problems and needs to address different policies and “it is essential that each Mercosur country should have a multiplicity of memberships”, which opens the possibility for Uruguay to diminish risks and increase its potential. “Mercosur must have joint international policies, an agreement on moderate protection from third parties and above all must have agreements with other trade blocks”, insisted Astori, who faces strong opposition inside the Uruguayan populist ruling coalition to any trade links with the US. 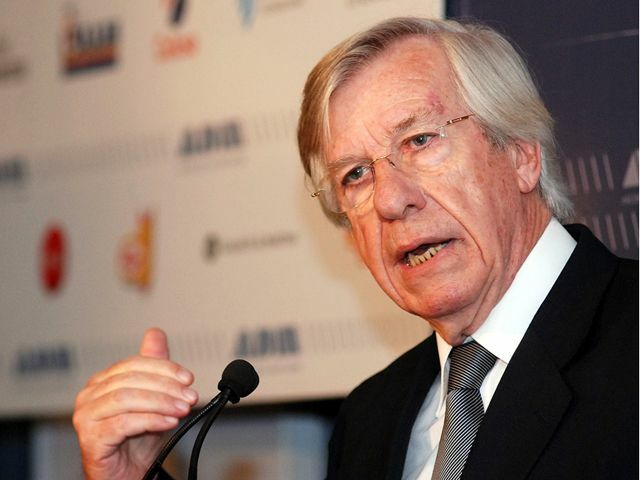 Astori has also been severely questioned for wanting Uruguay to become a full member of the Alliance of the Pacific (Colombia, Chile, Peru and Mexico, with Panama and Costa Rica in the doorstep), an open economies and markets accord geared to make business with Asia, but which is strongly rejected by Brazil. Nevertheless Astori underlined that Mercosur for Uruguay is a strategic instrument for the development of the economy and to increase trade, “a platform to the region which must be open to the world”, even when this is not necessarily the case currently because of Argentina’s protectionist policies and Brazil’s policy of safeguarding certain sectors of its economy. But Uruguay, given its size, “must open to the world, and for this it must think in quality production, in excellence standards” supported with an efficient education system which delivers to the whole population. Astori pointed out that the vision of the Uruguayan State has been that political and cultural issues are not absent from such a reality of openness to the world, “and that has been the historical position of Uruguay when addressing international affairs, and in this the different political parties agree, although with some minor shades”. The Vice-president then enumerated some of the advances achieved by Uruguay since the return of democracy, which have been sustained by the three major parties of the country when in office. He mentioned, an attractive business atmosphere, a generous Investment bill with emphasis in quality jobs, innovation and de-centralization, likewise the system of temporary admission to promote exports, the free-zones, open air terminals and ports, promotion of investments through bilateral agreements and accords to avoid double taxing. As to the rating of Uruguay with OECD, Astori said the country has advanced considerably in transparency and exchange of information, which has been supported by pro-active legislation on the issue. Likewise regarding the investment rate in Uruguay, Astori said it currently stands at 22% of GDP, when historically it had averaged above 10%, but the target is to take it to 27% to 29%. Likewise foreign investment which historically had been equivalent to 2% of GDP, now has reached 6 to 7% of GDP. Finally the Uruguayan Vice-president said the country must target improving education, knowledge, innovation, efficiency, productivity, competitiveness and equal conditions for everyone. His last words were a message to the teachers unions which have been in conflict with reiterated strikes since March, which means children at the Uruguayan government run primary and high schools on average and if lucky this year will have at the most 130 days of class (instead of the targeted 200 days). The conflict only affects government schools, not private schooling. Siempre fue un vendido al neocapitalismo! Vendido a las grandes corporaciones internacionales y atenta contra la soberania uruguaya.